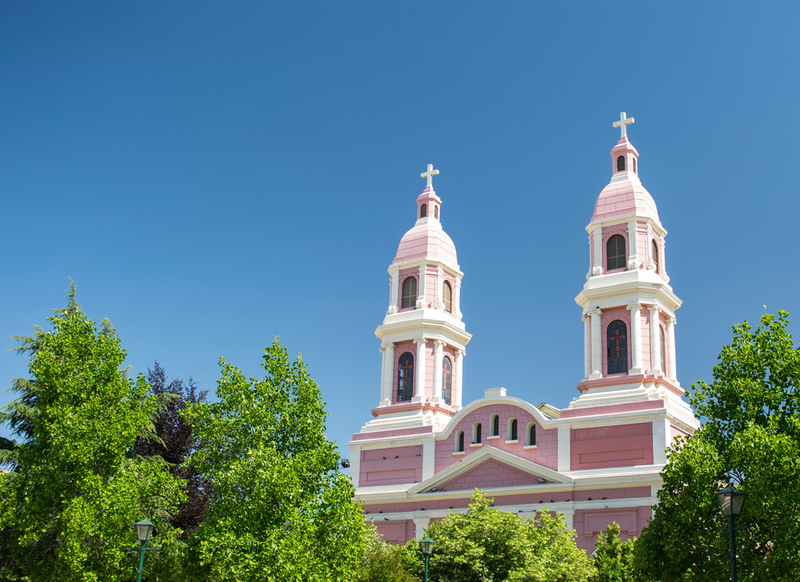 This church, which is famous for the historic role it played in the Battle of Rancagua, dates from the 18th Century. The parish house with its beautiful entrance way sits next to the church. Founded by Alejandro Flores in 1954, the museum is in the style of a typical 19th Century Chilean house and has original furniture from that period, as well as a collection of religious imagery. The building is made from adobe and tiles. The town of Pelequén is located 36km south of Rancagua. Local stonemasons use the traditional "piedra rosada" (pink stone), a porous volcanic rock from Rigolemu in the nearby hills, to chisel out fountains, columns, paving stones, bases for tables and many other products, all of which they display on both sides of the Panamerican Highway. This monastery is located in the Andean foothills close to Rancagua. This peaceful spot which is surrounded by forests, green areas and local flora is perfect for meditating and relaxing. The monks’ accommodation is modern and there is a small church which was built in 1986. On Sunday at 9am mass is open to the public. Visiting hours are from 8am to 8pm. For more information please contact Monasterio Monjes de Los Trapenses, office 603, Lota, Providencia, Santiago. Tel: (2) 2515279.